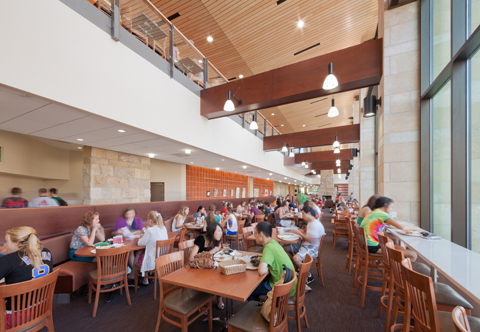 Situated between residence halls that collectively accommodate 3,000 students, the new Gordon Dining & Event Center replaced the an existing dining hall built in 1965. 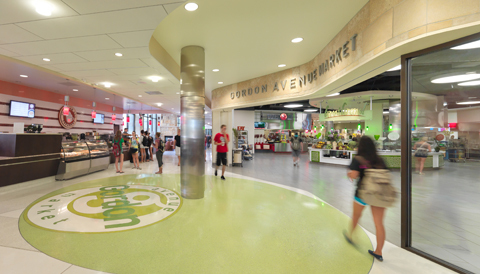 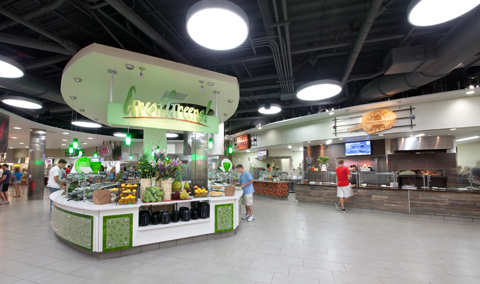 The new 115,600 sf facility provides students with marketplace-style dining with 12 venues. 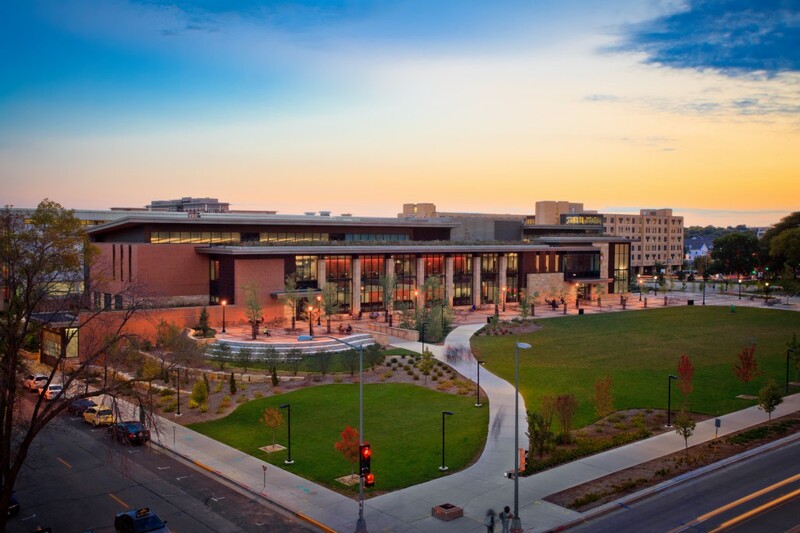 With dining seating for more than 600 students, the facility features an outdoor plaza that will be used for event programming, barbecues, and outdoor movie screenings. 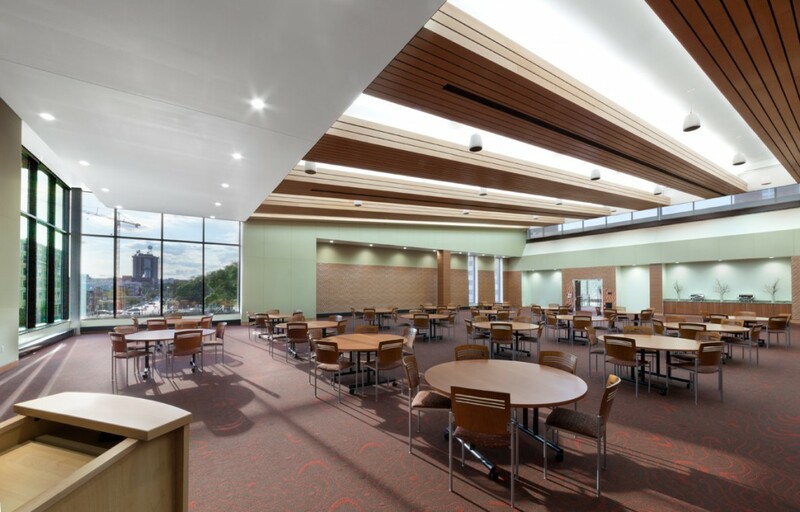 The facility also expands the university’s cache of meeting spaces with a 750-seat ballroom, a 350-seat meeting room, and two 30 person meeting spaces, all supported by catering from the commissary below. 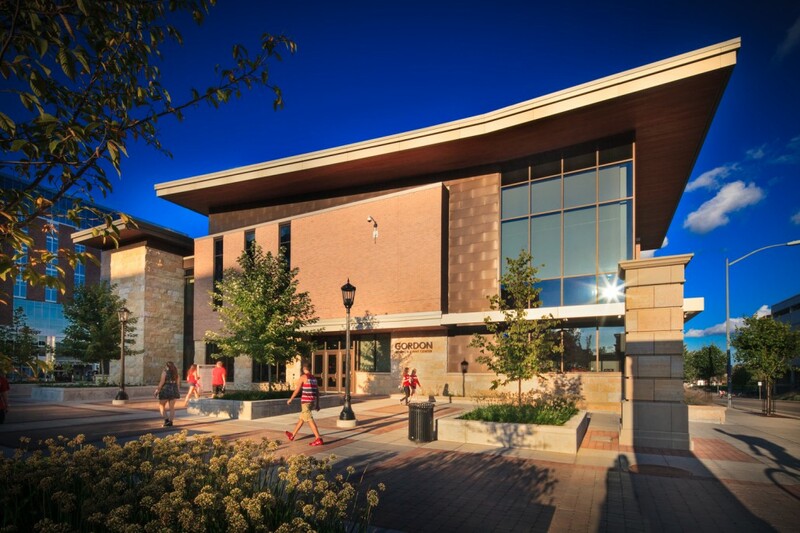 Designed to be 38% more energy-efficient than the current building code requires, the facility includes many energy-saving features, including low-volume exhaust hoods, heat recovery from refrigeration units, utilizing a vegetable oil boiler to preheat domestic hot water, energy recovery floor air handling systems, a 195,500 gallon storm water retention tank, and extensive use of natural day lighting. 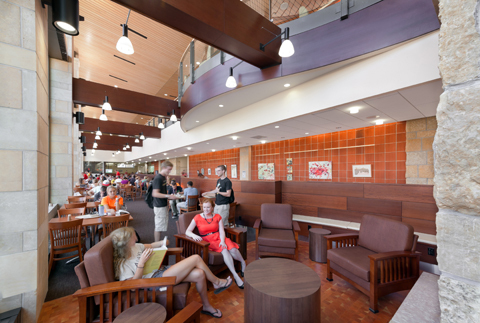 This project was designed in collaboration with Cannon Design.